How people manage, respond and adapt to change can determine whether a deal delivers on or fails to meet expectations. Yet as anyone experienced with transactions knows, the human element is underemphasized. A deliberate, disciplined approach to change management improves your odds for a smooth transition. It also lays a solid foundation for optimizing post-close. The key is to incorporate change management as early as possible. 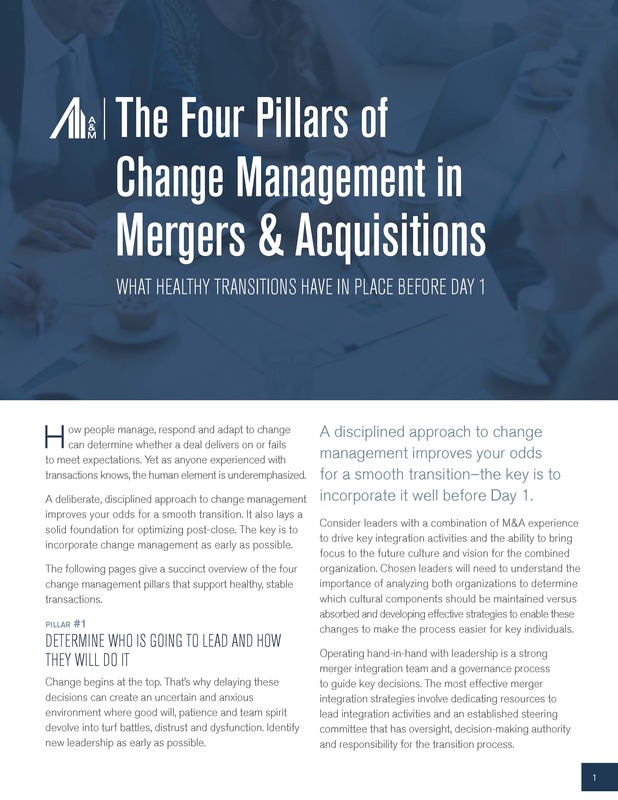 In the following report, we provide a succinct overview of the four change management pillars that support healthy, stable transactions.